Another staff member who sets up, assists with the party and cleans up. My kids, now ages 5 and 7, were all over the place. 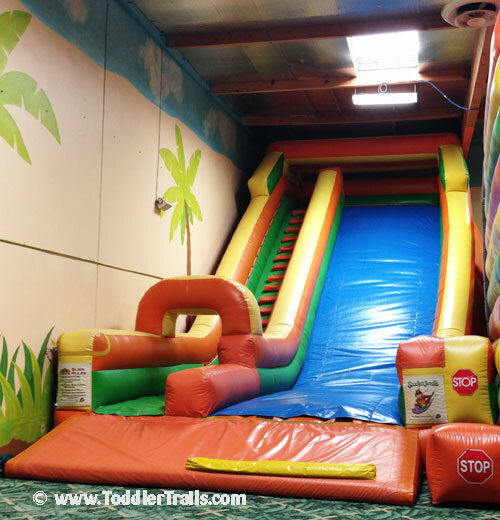 They really enjoyed the gigantic indoor slide and the sports court. 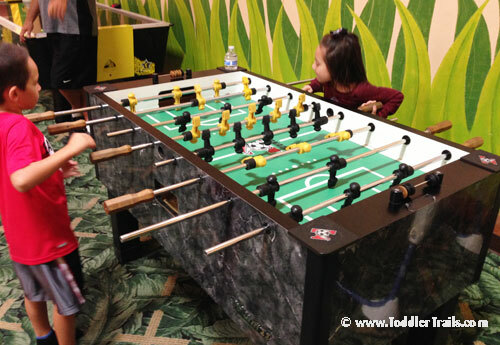 Funny, but as a family, we spent tons of time challenging each other at air hockey and foosball. To me, the best part about the party is that all you have to do is sit back and relax. If you’re a budding photographer or like to have photo keepsakes, run around and snap away. The rest of the party planning is left up to the party hosts. 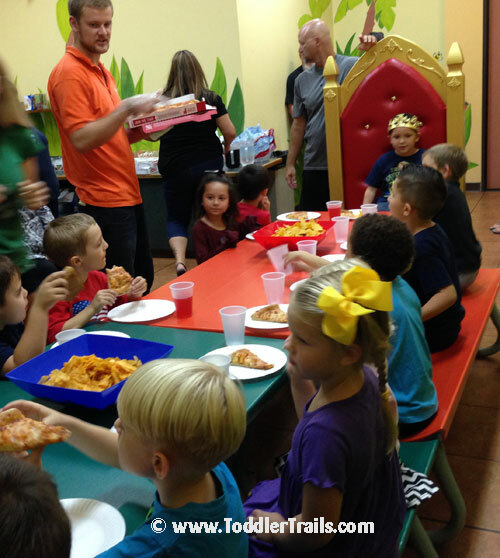 Based on your specifications of menu items, and the additional items you bring, they set it up, and run the party for you. 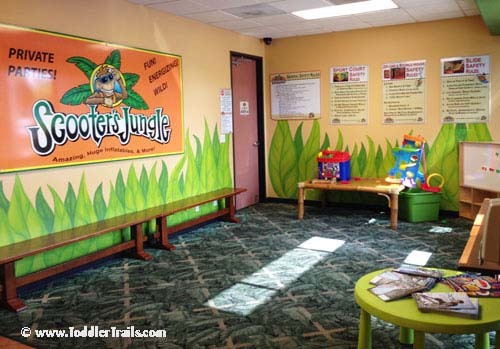 Scooter’s Jungle Placentia also hosts open bounce times, Toddler Time and Family Fun Events. The best way to keep informed of their hours and open play is to check out their events calendar. 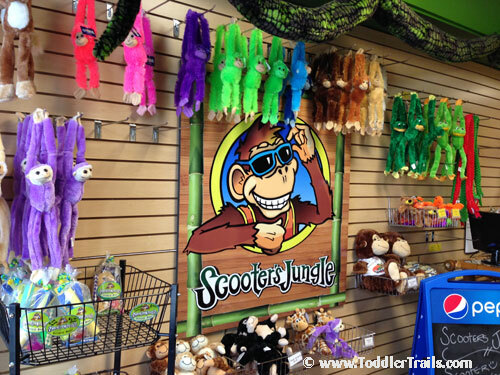 For more information about Scooter’s Jungle Placentia, check out their website: Scooter’s Jungle Placentia. Disclaimer: This is a non sponsored post. All opinions are completely my own. I love scooters jungle! I’ve been to the one in Alison viejo. So much fun! !